Illinois Energy Windows & Siding Inc. specializes in providing high end replacement Windows, Siding & Entry Doors for residential remodeling. We have the most comprehensive warranties in the industry. When you purchase products from Illinois Energy you get true lifetime guarantee on both parts and labor! 3 Projects for Illinois Energy Windows & Siding, Inc.
47 Reviews for Illinois Energy Windows & Siding, Inc. I needed replacement windows for my home. I learned of the Company via Home Advisor. Illinois Energy was first to respond, and visit. Mr. Schropshire was kind, sensitive, and not high-pressure. He presented facts about his company and its warranties, and other companies and their warranties. Illinois Energy has a BBB A+ rating, and has been in business 26 years. Illinois Energy's Lifetime warranties cover everything, extrusions, glass, screens, caulking, installation, and more. These warranties are transferable as long as the house remains standing. The company sells one type of double-hung window. Mr. Schropshire demonstrated it, and we were impressed. The price was higher than the lowest priced windows elsewhere, and lower than the highest priced windows elsewhere. We decided to contract with Illinois Energy Windows and Siding. 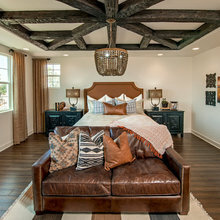 We had to pay only $100.00 deposit, balance upon completion of the work. The windows were ready for installation in 3 weeks instead of the 6 weeks it sometimes takes. A 3-man crew showed up on the appointed day and did an excellent job. They worked fast, and were friendly, careful, and persistent. They showed respect for us, and our house. They answered all of my questions. They cleaned up thoroughly, including vacuuming. That first night we noticed an appreciable difference in our home. 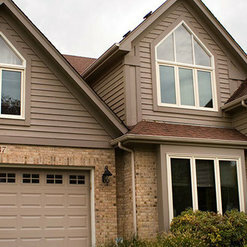 Illinois Energy Windows and Siding offers an excellent product, an excellent warranty, and a great installation force. Well worth the price. We are very happy with our new windows, and our experience with Illinois Energy. We would use them again in a heartbeat. The whole process for our backbdoor was easy and professional! Everyone we dealt with was very knowledgeable and not pushy! Great product at a good price. Highly recommend! I started searching for a company to assist me with replacing my sliding glass door for my condo. I had a horrible leak that caused damage to my flooring and my HOA told me that it was my responsibility as the issue was the door. I started working with this specific company at the start of December 2018 when my homeowner's insurance rejected my claims and the HOA continued to deny any responsibility. I started by speaking with Denise to schedule a consult with Tom Burke. Tom came to my home within 48 hours and that is when things turned around for the better. Tom reviewed the damage to my home and explained why I was having a leak that cause such damage. He was specific in what the company could offer me, explained the process in great detail and provided an estimation that never changed. What I love most is that this company guarantees all of their work and I have it in writing. That is a win for me. Tom even explain what I should do to get my HOA to take responsibility for the damage. I signed a contract and moved forward. Within 24 hours, I received a phone call from Nate Sanchez explaining the process, my billing options and what would happen next. During this discussion, I was told that a licence Installation Manager would stop by to obtain measurements and walk me through the install process. What I LOVE most is that Dom (Installation Manager) was only in my home for 10 minutes and diagnosed the issue with the damage. He even waited while I called my HOA and he explained why there was damage and that it was never the sliding glass door. He even offer to speak with a manager of my HOA if they wanted to meet at my home. As a result of this company stepping outside of just making me another job, my HOA is taking FULL responsibility for the leak due to framing issues and is replacing my flooring. Nate was able to provided a detail breakdown of cost and the two gentlemen that installed my door did an excellent job providing me TOP NOTCH service and a beautiful statement piece to my home. When I saw it for the first time, I simply cried. John Murphy (Superintendent/Installer) was kind enough to write in detail his findings of what caused the initial damage to my home. If you need any type of work like this on your home and you want a company that goes over and beyond your standards, this is truly the company for you. They keep their word, treat your home with the up most respect and care while fixing an issue they did not have too. KUDOS to the staff at Illinois Energy Windows and Siding for helping me through this challenging time. Had 3 large windows (one opening) replaced. They redesigned the window layout and installed a large picture window with two double hung windows on the sides. What an improvement! From start to finish they were great to deal with. The windows are much nicer looking inside and out. We can already feel the difference because they are insulated so much better than the old ones. The installers did a great job, and respected my time and my property during the installation. Highly recommend Illinois Energy! We had a sliding door installed over the weekend and LOVE it! The whole process from picking the door, to ordering it, to having it installed was easy and the staff at Illinois Energy were helpful and professional. Our installer was on time, professional, and cleaned up the area very well. We would highly recommend Illinois Energy Windows & Siding! 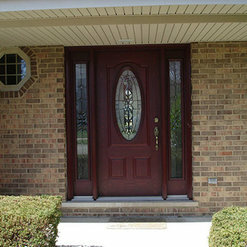 We had a very positive experience with Illinois Energy replacing our front door. The sales person came up with a good solution for our situation (southern exposure). They were flexible in changing an item the day after we placed the order. The installation was done earlier than they estimated by 4 weeks. Installers kept us informed about the process and did a very clean and thorough job. I will return when we need our back door replaced. We just had our second project completed by Illinois Energy Windows and Siding, Inc. We have had a front door with a transom and sidelights installed by them; and now we purchased a Sliding door for the back of our house. In both cases, the installation was prompt, painless and when completed both projects looked beautiful. I cannot praise their installers enough as they are courteous and professional. I would not hesitate to recommend them in the future. We love our new sliding glass door! Everyone we spoke with was professional and treated us with respect. The installers did a fantastic job and all the finishing touches are really appreciated!! We thought we would have to touch up wall and trim paint but they are so good at what they do we have not touch ups to do, the job is complete and we are super pleased. We hope to have them install a new front door next year!!! Illinois Energy did a great job installing our new patio door. The installer was on time and removed the old and installed the new and left us was no mess to clean up. The quality of the door is great as well. I will definitely use Illinois energy again. I am very happy with my new door with sidelights from Illinois Energy. The installer was very professional and clean. We can already notice a difference in the sound and temperature in the house. They have many financing options available. 1 Ideabook for Illinois Energy Windows & Siding, Inc.
John Klinge reviewed Illinois Energy Windows & Siding, Inc.